Successfully Added MP4 Player with 1.8 Inch OLED Screen (1GB) to your Shopping Cart. 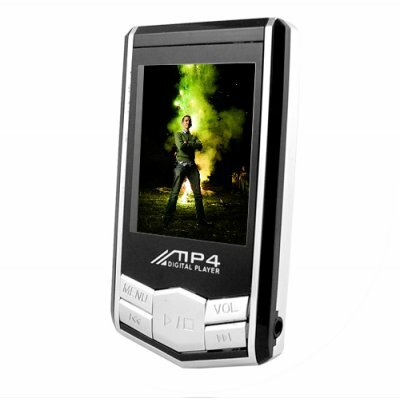 MP4 Player with 1.8 Inch OLED Screen (1GB). Combining 65000 color OLED screen, easy to use design, playback for audio and video files, digital picture slideshow function, and multi-language menus make this wholesale digital media player worth more than models twice its price. With Windows XP/Vista there is no software installation required, you simply plug in the USB cable and you can instantly transfer your digital media files (just like any flash drive) onto the CVAAL-A25. Order today to see for yourself how nice this unit is and then order a larger stock to sell on your internet store and use Chinavasion's excellent drop shipping service for maximum convenience. Simple and portable MP3/MP3 player. 1.8 Inch OLED display for viewing video files and pictures in HD clarity. Note: This product plays MP3 and WMA music files. Video files need to be in the AMV file format. We recommend using the included software or even better open source tools such as "MP3 Player Utilities 4.10" to convert your existing video media files into AMV format files. The style of this product is awsome, and it had a sharp picture, But my computer is having trouble detecting it. Other than that it's a neet little thing. This little device is so fantastic, I can't explain! Clear sound, perfect visual screen, just great! Thank you Chinavasion, love your products. This is the only place I will be buying my electroincs! AMAZING! "Hello,dear Chinavasion, I bought recently a MP4 Player from your drop shipped to Malaysia and I am very happy about the product,it so good sound. four star for service and item. I'm so lucky buy this product because low price to get it. "THANK YOU CHINA".